Welcome to the New England Ladder, Co. Introducing Hasegawa Tripod Ladders, the safest, most stable and practical garden ladders around. 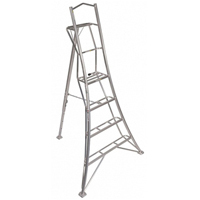 Hasegawa Tripod Ladders are the safest, most stable and practical garden ladders around. 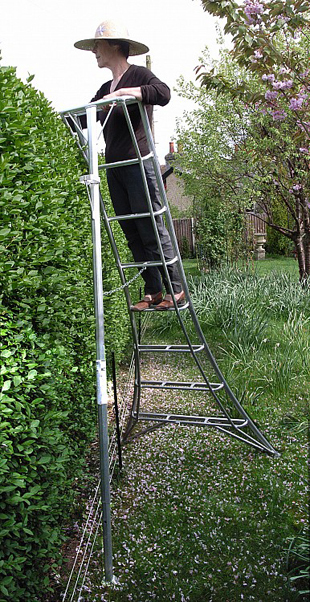 These aluminum, tripod ladders are used all over Japan and Europe and now in the U.S.., by gardeners and nurserymen. Our customers include tree surgeons, topiary specialists, institutional and estate gardeners, orchard owners, hedging contractors, permaculturists and and landscapers. Countless gardening enthusiasts appreciate the stability and practicality of the tripod design. The Hasegawa tripod ladder is an incredibly lightweight, sturdy ladder. 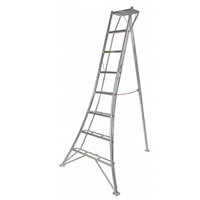 These ladders will help keep you safe and stable while harvesting, pruning, painting and more. 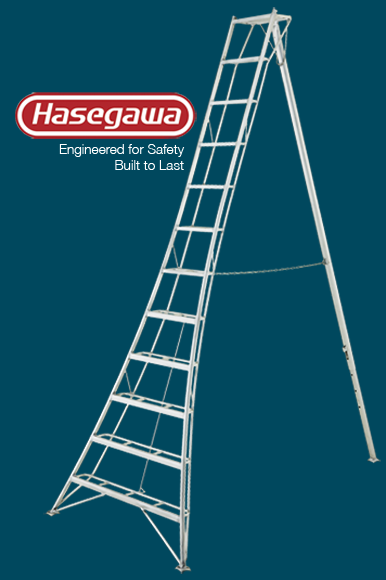 Hasegawa has the reputation for making the best quality and safest tripod ladders in use today–our production conforms to JIS (Japanese Industrial Standards). 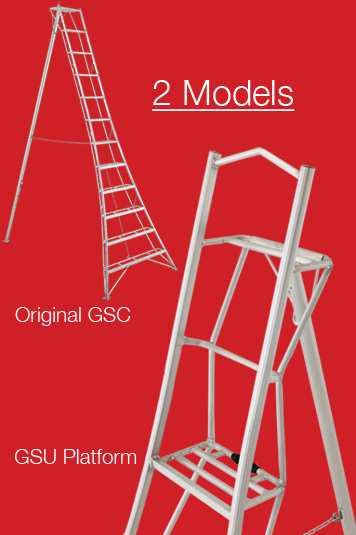 The GSU Model ladders range from 6′ to 12′ and benefit from a deeper platform step. The sturdy Hasegawa tripod ladder is incredibly lightweight. One person can easily move it around while harvesting fruit, pruning, painting, cleaning gutters or tackling other homestead chores. Please complete the form below and a representative will get back to you shortly. Thank You!